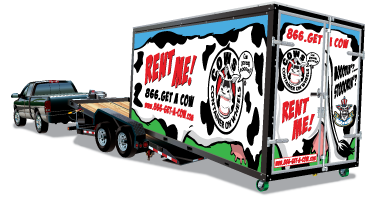 Make your relocation go as smoothly as possible with help from COWs of South Miami/Homestead. Our moving company in Homestead, FL, is your source for container on wheels mobile storage for moves of all sizes. When you turn to us for service, you will receive a personalized moving and storage solution to fit your needs, budgets, and timeframe. Request a quote from us to get started on your service today. Looking for a cost-effective and easy option for your moving services? With our DIY service, you do all the work, except for driving. We deliver the mobile storage container to your home or business. After you load the unit, you are free to keep it at your location for as long as possible before arranging our local or distance services. When finished with the move, you unload the COWs mobile storage container yourself. Once the container is empty, we come to your location to retrieve it. Receive the help you need for parts of the job with the hybrid service option. With this service, you do some of the light lifting, and our specialists take on the heavy lifting. We are happy to help you load and unload bulky furniture and other larger pieces. Call our moving company today to arrange this service for your relocation. Our professionals give you the peace of mind that your possessions are in good hands. Sit back, relax, and let us handle every phase of your local and long distance moving. When you work with us for this full service, you can count on our team to take care of items of all sizes. We deliver a mobile storage container to your home or business. Our recommended moving labor service [link to https://www.cowsofsouthmiami-homestead.com/about_us.html] (or any labor service you select) will load items into the container. You are free to keep the unit for as long as needed before arranging the move to your destination. Contact us in Homestead, Florida, to use our moving and storage solutions. Our company serves clients throughout the area. Fill out the form below or call 305-600-5674 to get a free quote.